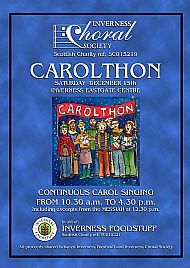 EVENTS - and please take a look at the Archive Information page as well. 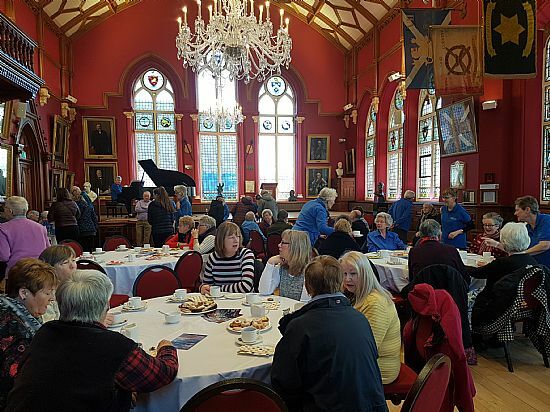 For information about our recent Coffee Morning, please see the Archive Information page and more photos on the Town House section of the Photo Galleries page. 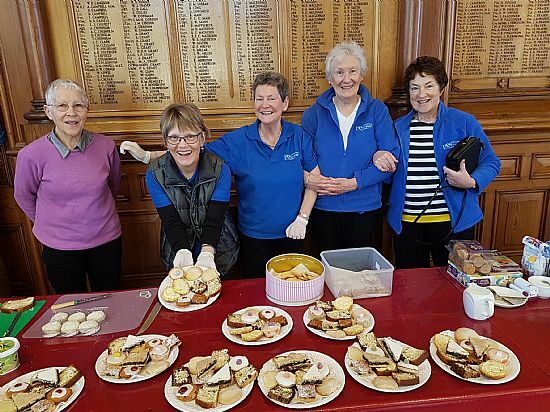 Delicious home-made baking on offer, March 2019. 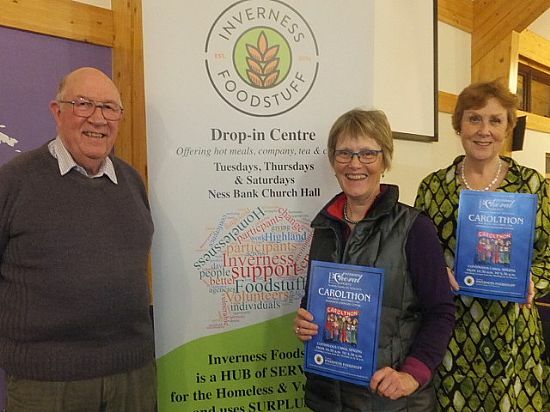 Bob, Carol and Mandy, introducing our 2018 partner charity, Inverness Foodstuff. 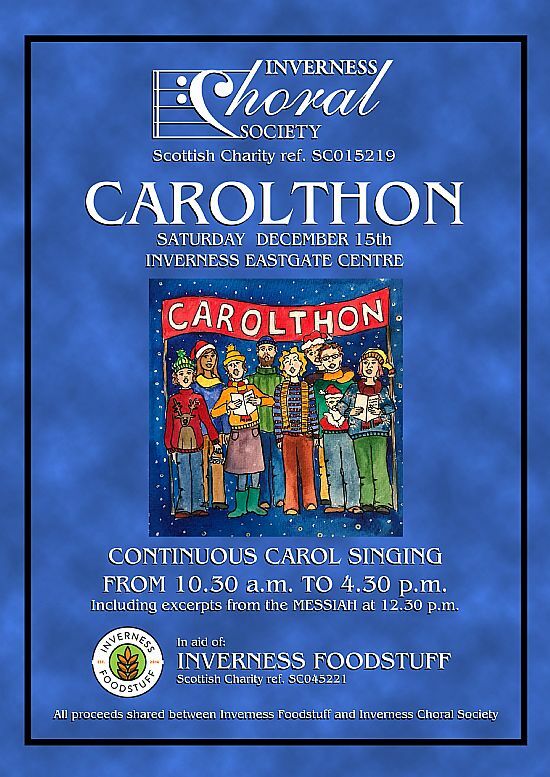 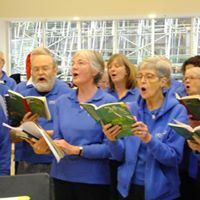 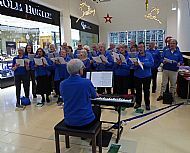 The first small group of the 2018 Carolthon with Gordon at the keyboard. 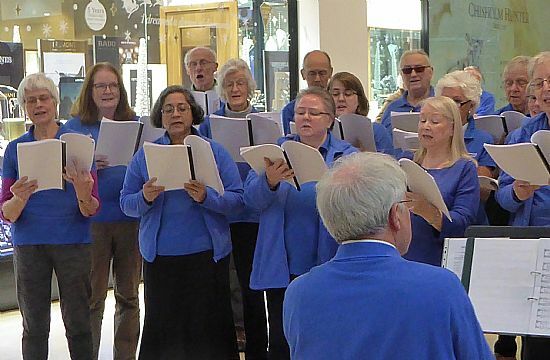 Concentrating on making a beautiful sound! Some of the larger group singing over the lunchtime period. 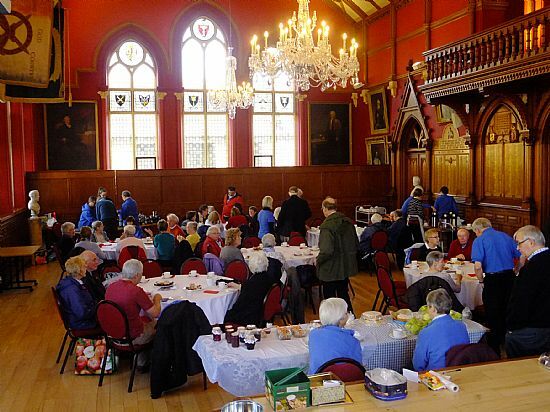 The refurbished Town House awaiting the Coffee Morning crowds. 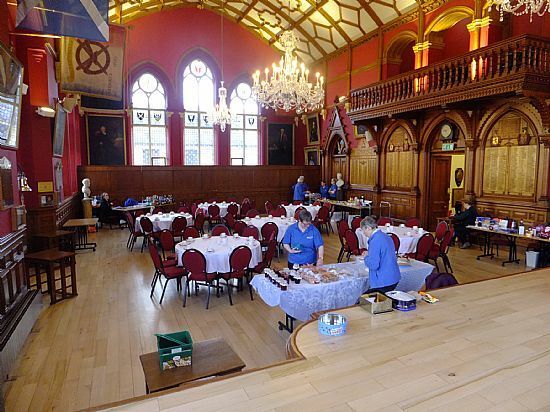 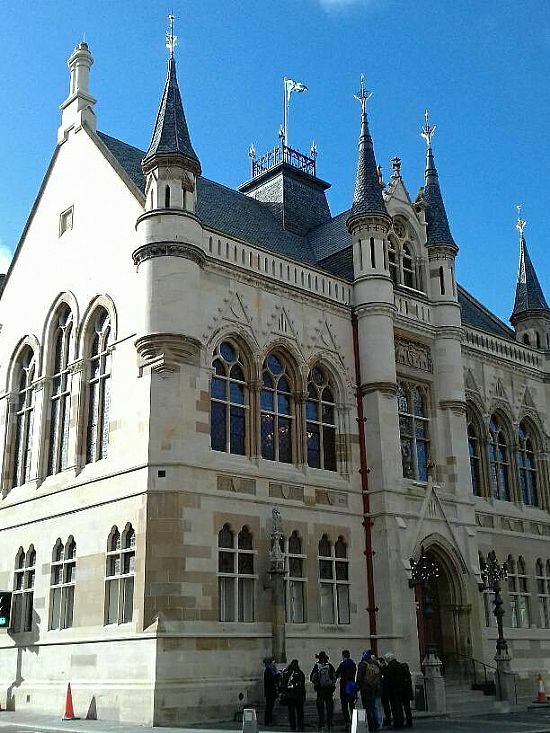 Preparing for the November 2018 coffee morning in the refurbished Town Hall. 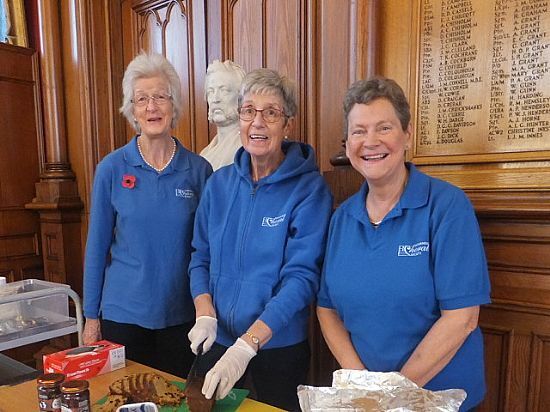 Gill, Margaret and Janet preparing the refreshments. 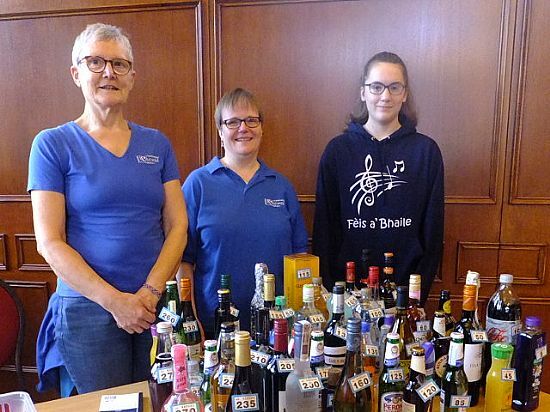 Mary, Katherina and Ellen in charge of the bottle stall, Nov 2018. 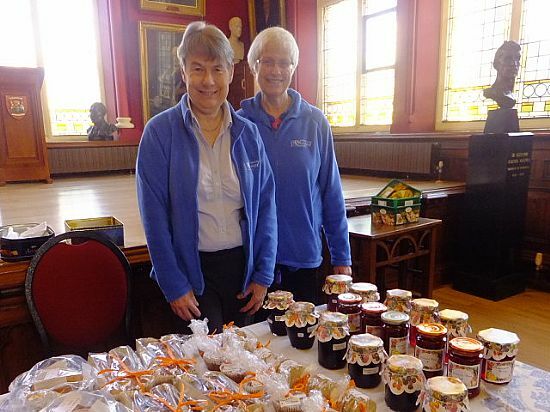 Elizabeth and Viola ready for the home baking stampede. 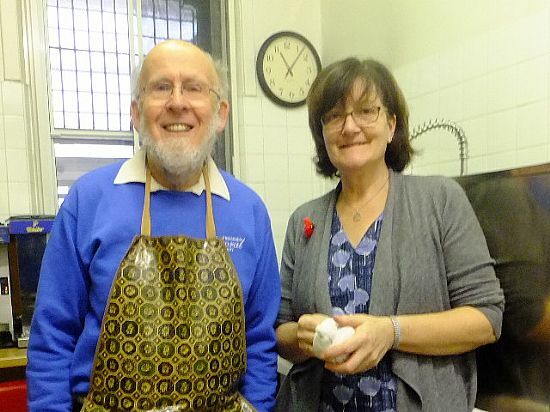 Geoffrey and Alice behind the scenes in the kitchen. 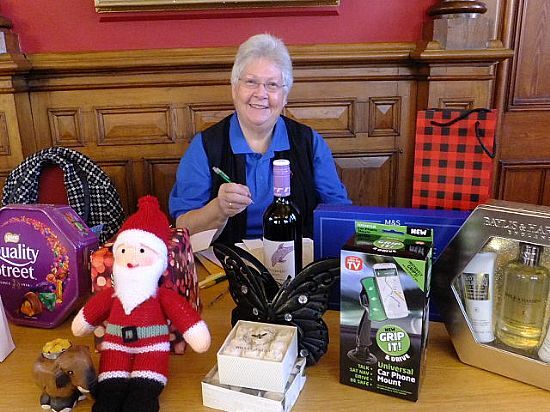 Mary in charge of the all-important raffle stall. 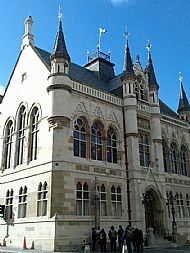 The Town Hall fills up, November 2018. 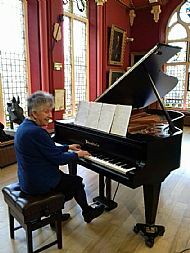 Sheila entertaining us so splendidly at the March 2018 coffee morning.